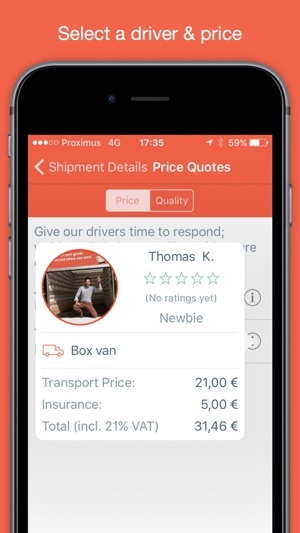 Vengo is a mobile platform that connects shippers and drivers. Vengo for iOS lets you send whatever you want in a user friendly, super-fast and fully transparent manner. 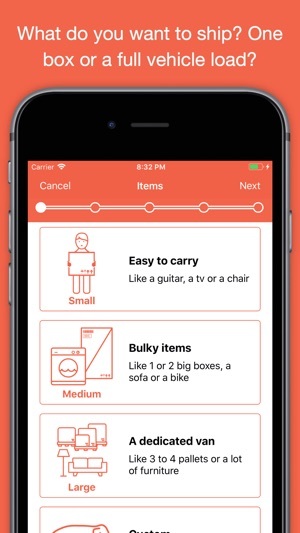 Whether it’s a small package, all of your furniture or a full vehicle load, the Vengo app with its smart technology directly brings you into contact with available drivers. But Vengo takes it further, Vengo matches you up with a driver in your area who only needs to make a slight detour to get to your doorstep, and ensures that he/she is already well informed about your exact requirements. 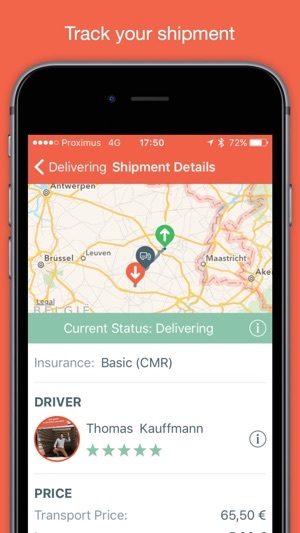 Vengo avoids inefficiencies by saving unnecessary kilometres and therefore costs. 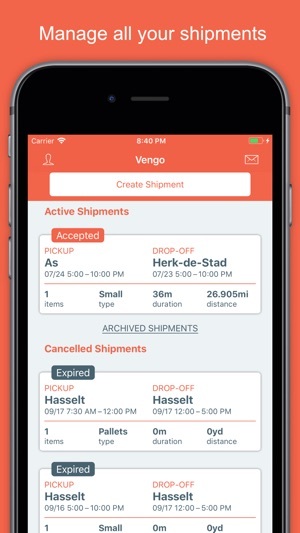 Vengo enables you to track your shipment from the moment the driver arrives at your location right up to final delivery. You know exactly what is going on at all times. 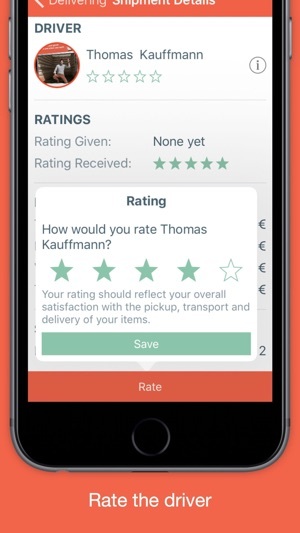 Moreover, Vengo screens all drivers using the platform for competence and accuracy, and our community continuously rates each individual driver. Still got concerns? Vengo also offers you a suitable insurance cover if anything should go wrong during loading, transport or unloading. Our smart technology gives you peace of mind. This is a small release with bug fixes.